Home Entertainment Direct are authorised and experienced installers of this award winning audio system and have integrated Sonos systems since it first came to market 10 years ago. We believe that they still offer one of the most flexible and easy to use multi-room audio systems on the market. 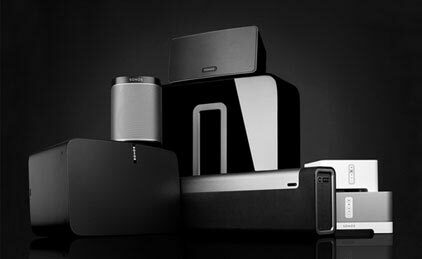 Sonos multi-room can be linked to discrete in-ceiling speakers or with wall or floor mounted speakers. We also integrate Sonos with Hi-Fi and Home Cinema installations and set-up systems to play music and other audio sources including TV, Satellite and DVD around the house. We provide additional services for setting up integrated wired/wireless networks to store, organise, index and distribute your entire music collection. As part of our installation service, we provide full demonstration and training so that anyone can use the system. 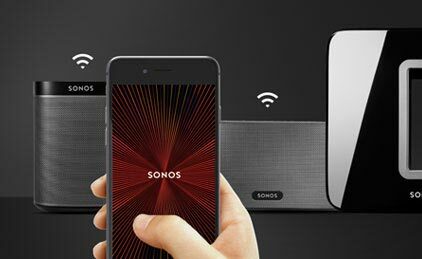 We install all the latest Sonos products including the Playbar (which is a high performance TV sound bar) as well as wireless Play 1 Speakers and Sub-woofers which can be linked up to create a ‘wireless’ home cinema system.